Think you don't have time to eat in the morning? Think again! In just 5 minutes, you can make a great 3-ingredient egg sandwich to enjoy on the go. Beat egg in small microwaveable bowl. Microwave on HIGH 30 sec. or until set. Fill toast slices with egg and 2% Milk Singles. Serve with a CAPRI SUN Orange Wake-Up. 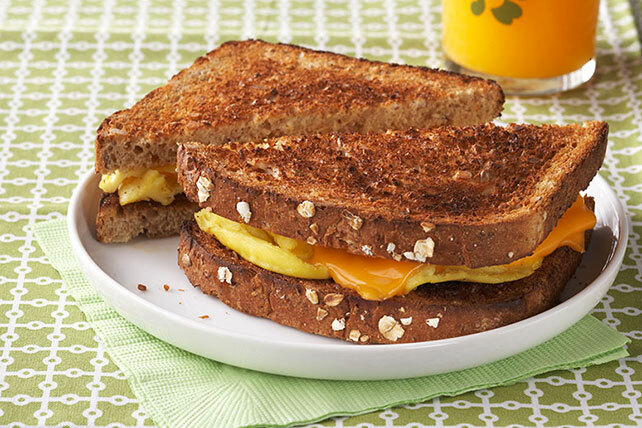 Substitute a whole grain flour tortilla for the toast slices; top with cooked egg and 2% Milk Singles, then roll up.